When installing or specifying diving boards, it is critical to board life and performance that the fulcrum location and travel is properly located in accordance with the individual board specifications. 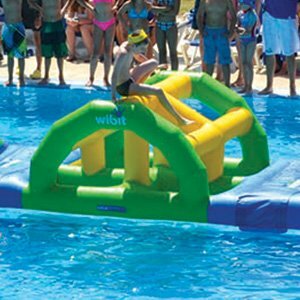 Additionally, varying water depths, overhangs and pool dimensions are required for different board lengths. Never replace a diving board with a longer model unless you have verified that the pool has sufficient depth and dimensions for the board.